I was nominated by Bibi to this award. You should check out her blog here. You can check my first one here. Spending the day reading, eating and hanging out with my friends. Also if there’s a book sale. 2.What was your last 5 star read and what made it great? Bloodlines by Richelle Mead. Do you know that feeling when you read absolutely amazing book and can’t name anything bad about it? That’s how I felt after rereading this. I just loved everything about it. It depends on the book but I don’t really read standalones, so I’m going to say series. One book at the same time. Yes. I bought the whole Grisha trilogy thinking that I’d love them but I barely finished the first book. 6. Who’s the 3-6 guys in your harem? You can only choose characters from books, and only character from each book. Cath from Fangirl. We would be fangirling about Snowbaz. 8.If you could only read one more book for the rest of 2018, which book would you choose? Lux: beginnings. technically this is cheating because it has two books in it. lol. 9.Do you ever review audio books? No. I don’t listen to audio books, so there’s nothing to review about. 10.What’s three non book related things, you want to share about yourself? I would like to have a cat when I move out but unfortunately I’m allergic. My sisters are ten and eight years older than me. Bloodlines. I’d like to have Claire Holt as Sydney Sage and maybe Chase Crawford as Adrian Ivashkov. I used to think Daniel Sharman as Adrian but since now they have acted as sibling in The Originals it would be just weird. I don’t know how you guys feel about been tagged but I’m grateful for you guys for making me feel welcome around blogging community and I wish we talked more often. 1. If you could only read one series for the rest of your life, what would it be? 2. 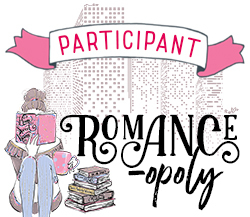 Favorite contemporary romance book? 4. A character you’d like to be best friends with and why? 5. Thoughts about love triangles? 6. Friends to lovers or enemies to lovers? 7. Fictional world you’d like to be in? 8. A food you could never give up? 9. A song that reminds you of one of your ships? 10. Favorite book cover in your shelf? 11. If you could be any supernatural being, what would you be? Haha Kol 2.0 was great. He managed to stay true to the character 😂 gave you watched the grand finale of the Originals? i was ok when they killed stefan and i was ok that they killed elijah since i haven’t liked him since tvd but i’m not ok about them killing klaus. I love Klaus, Elijah and Stefan. But my dissatisfaction is more about, why can they never get a bloody HEA? In one season finale after the other, they dodge the never ending super natural bullets. At least the core cast usually does. So why must they die at the epic finale? Sure, Stefan found peace with Lexi. But still, it’s too much. Plec is the devil. That’s why 💀I hope her new show gets cancelled. i don’t like stefan since his character ruined katherine and caroline but it was good to show fans that his death wasn’t pointless. Yes!!! Same here but i don’t know which i disliked more in the originals hayley or cami. Thank you for the nomination, however Im not gonna do this one.. I have way too many awards I have done one of already, sorry! I hope you enjoy them even though I didn’t! I heard a lot of great things about Nikolai but I don’t think I’ll be continue the series just to see what the fuss is about. I did enjoy Darkling but not enough to continue the series.